BRYAN EATON/Staff photo. 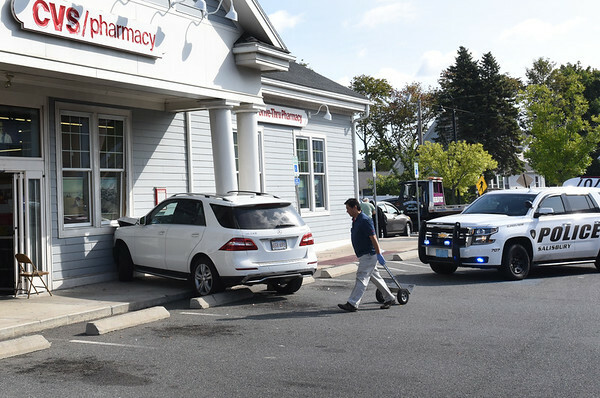 An SUV jumped the curbing at CVS in Salisbury Square on Friday morning damaging a pillar. One person was transported to the Anna Jaques Hospital.